January 18th - M.Ed 2nd Sem UG Exams Revaluation Results Released. January 11th - UG [B.A., B.Com., B.Sc., BBA & BCA] Exams-CBCS Sem-5 [Regular & Backlog] Results RELEASED. January 09th - UG Exams - B.Ed, B.P.Ed & D.P.Ed Sem-2 Reval Results Released. January 07th - B.Tech I, III, V Sem Regular & Backlog Results, Yoga One Year Diploma Course Part-Time Result and B.A.LL.B. & LL.B. Sem-5 Exam Results released. 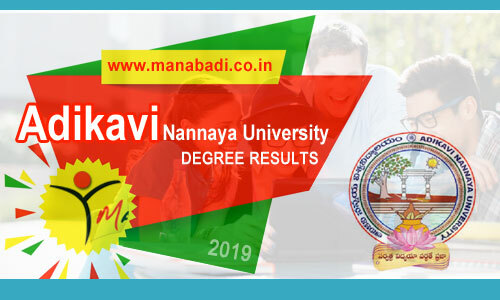 Visit to the official website of the Adikavi Nannaya University. Navigate to the Examination tab.